Before you begin, make sure you have all of the above. Your PS3 needs to have firmware 2.00 or higher or Remote Start will not work. Your PSP needs firmware 3.72 or higher or you will not be able to turn on or off your PS3 via the Internet. A PlayStation Eye or Eye Toy is required to act as a camera. It is recommended that you have the PlayStation Eye since the video quality will be better and also you will be able to listen to what is going on. Select [Connect via Internet] if you are away from home, or [Connect via Private Network] is you are home but not in your room. Select the Wi-Fi connection you wish to connect using. If you are away from home, the connection must have Internet Access. Sign-in with your PlayStation Network ID and password to access your system. 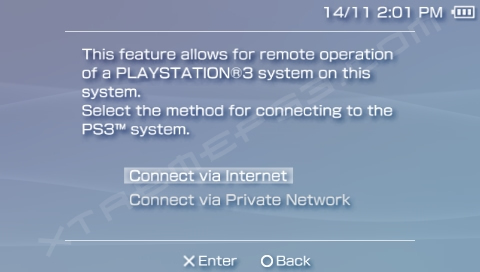 If all goes according to plan, your PS3 should start and enter Remote Play mode. After a few seconds, you will see the PS3 XMB on your PSP. 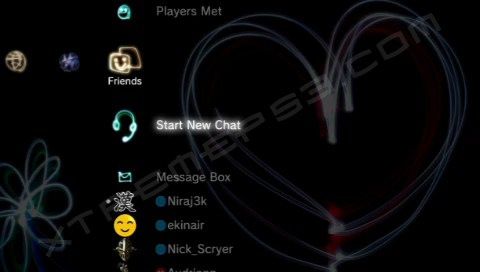 Go to [Friends] and select [Start New Chat] to start a new conversation. 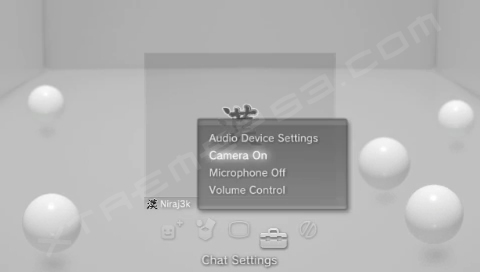 On the Chat screen, go to [Chat Settings] and select [Camera On] to activate the camera connected to your PS3. If you camera is connected correctly, you should see something on the screen. 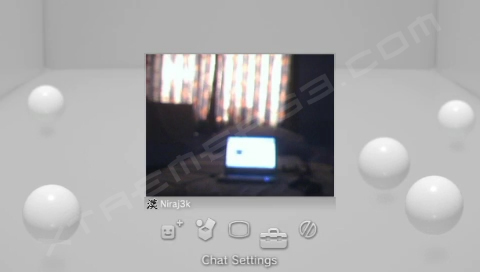 On screen, you should be able to see who (if anyone) is in your room. If you have the PlayStation Eye and have configured it correctly, you should also be able to hear what is going on in the room. 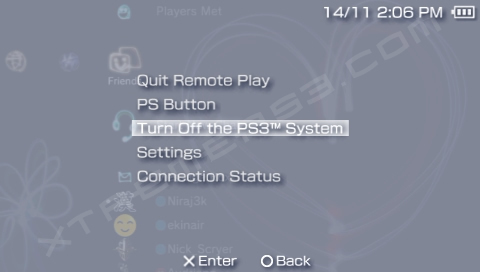 When you are done, you can press the HOME button to turn off the PS3. When you want to connect again, simply repeat the process again. We suggest you use this tutorial appropriately, which means no spying on naked girls!